Travel to Athens, Greece: It is fairly easy to travel to Athens all year round as this is a transportation hub for the entire country. There are many flights from abroad that arrive at the International Airport of Athens all year round as well as internal flights to the islands. The three main ports of Athens (Piraeus, Rafina and Lavrion) serve ferries to the Greek islands and few mainland ports, making it easy to get to all ports of the Aegean Sea. Apart from ferries and flights, other ways to travel to Athens is by bus or train. The rail network in Greece is not that large but it can be useful for connections to Thessaloniki, towns of northern Greece and Patra. Two large suburban (green) bus stations (one in Kifissos and the other in Liossion) also connect Athens with all towns and regions in Greece. In this page, you will find travel information about flights, ferries, trains and buses to Athens but also useful numbers, pdf guide and information about our travel services. The International Airport of Athens is located in the region of Spata, 30 km from the city centre. It receives many domestic and international flights every day and it has regular connection with the centre of Athens, the port of Piraeus and the port of Rafina 24 hours/7 days. Apart from international flights, it also serves internal flights to the Greek islands all year round. The flight from Athens to an island is short and lasts from 40-60 minutes. There are 3 ports around Athens. The busiest is the port of Piraeus, that serves ferries to the majority of the Greek islands, Crete ans few ports in Peloponnese. The port of Rafina, on the north eastern side of Athens, is the closest to the airport and serves ferries to Cyclades islands and southern Evia. The port of Lavrion is located close to Cape Sounion and serves ferries to Kea and Lemnos all year round and to few islands of Cyclades in summer. KTEL (suburban) buses connect suburban places and towns around Greece. There are buses from Athens to almost all towns around the country. There are two main bus stations in Athens: Kifissos KTEL Station and Liossion KTEL Station. Most buses depart from Kifissos Station, while Liossion station serves buses to central Greece and few destinations in northern Greece, like Pieria. Most trains depart from Larissis Train Station, close to the centre of Athens. The train is the cheapest way to travel in Greece. Trains are usually slow as they make frequent stops. The railway network of Greece is approximately 2,500 km long, covering a large part of the mainland and linking the country with central Europe and Turkey. There are slow and express trains from Athens to Thessaloniki, while the slow train continues to Alexandroupoli. 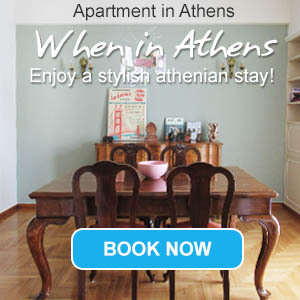 Are you looking on informaton on how to go to Athens and also how to go from Athens to the Greek islands? In this page, you shall find everything you might need about such travel information plus information on how to organize your stay in Athens, with hotels, tours and transfers. Apart from that, we can also help you organize a island hopping trip from Athens to popular Greek islands, including Santorini, Mykonos, Crete, Rhodes and more. With many ferries and flights departing from Athens, the Greek capital can be a great base for hopping to the islands or touring to important spots of the Greek mainland. If you are coming to Greece in winter time, which is getting a popular trend over the last years, have a look in the winter packages that we suggest you. Download a pdf guide of Athens with information about all things to see and do.